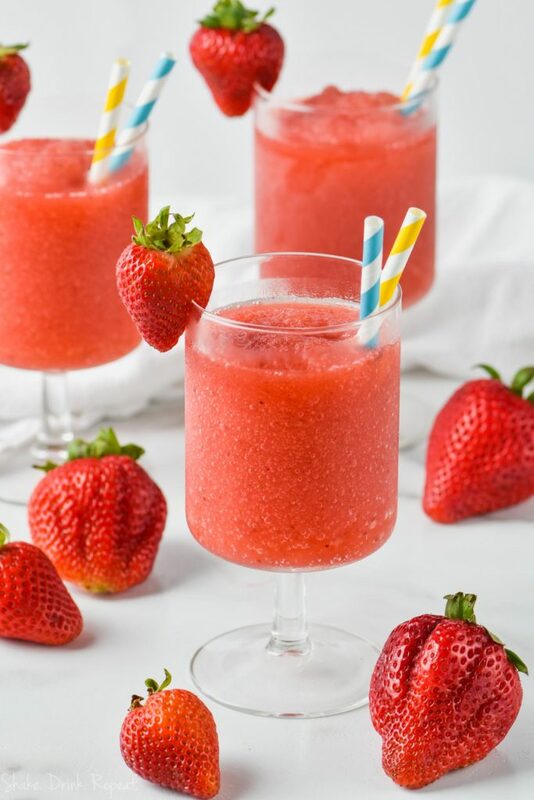 Summertime slushies are all the rage for the under 21 crowd, but if those syrupy sweet drinks are just not your thing you must try this simple yet sophisticated Strawberry Frose. This Rose-based frozen cocktail is the perfect blend of wine and vodka with just enough simple syrup and fruit to sweeten it up a bit. No need for a fancy frose machine, or even a top-of-the-line slush maker. 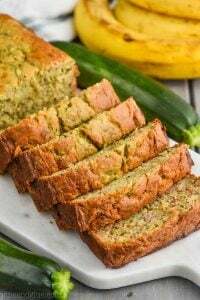 This four-ingredient recipe whips up right in your regular blender and stores nicely in the freezer. 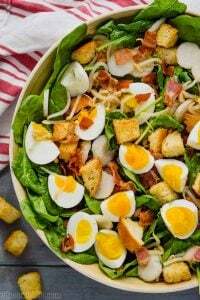 WHAT DO I NEED TO MAKE THIS FROSE RECIPE? If you love Rose wine (have you tried my Rose Sangria or this delicious Raspberry Pomegranate Rose Cocktail?) this is the perfect summertime not-too-sweet-treat. First, grab a bottle of beautiful Rose wine. 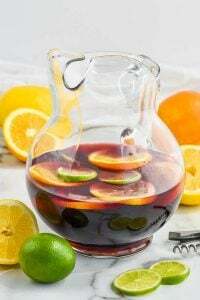 The darker the color the better for this recipe, as the wine tends to lose flavor as it freezes. A paler wine will lose flavor faster. Next you’ll need a tangy citrus vodka. It balances out the richness of the wine and gives the drink just the right kick. Then, make a batch of my super easy Simple Syrup. 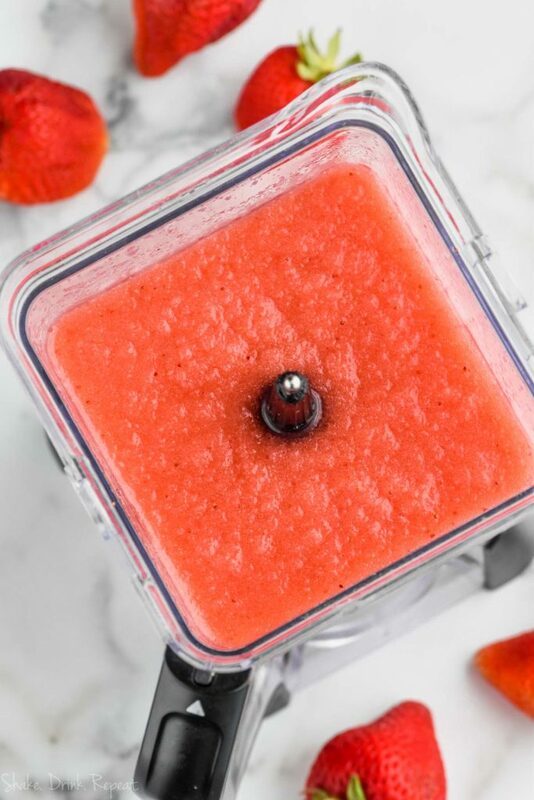 You can use it in a million different recipes (like this Strawberry Lemonade Frose or Frozen Sangria Slush). 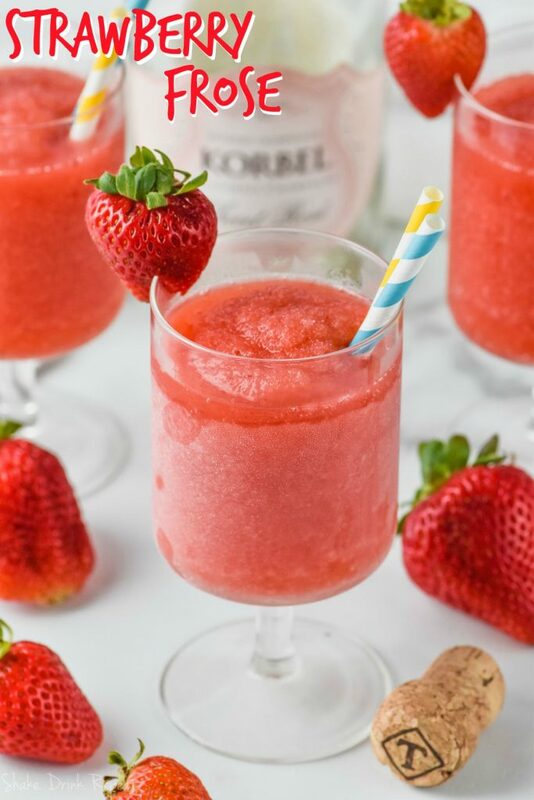 A handful or so of frozen strawberries rounds out this quick frose recipe. It’s not super sweet, so it’s perfect to sip all afternoon long. If you prefer a sweeter cocktail, try this Boozy Strawberry Shortcake Milkshake, also made with frozen strawberries. 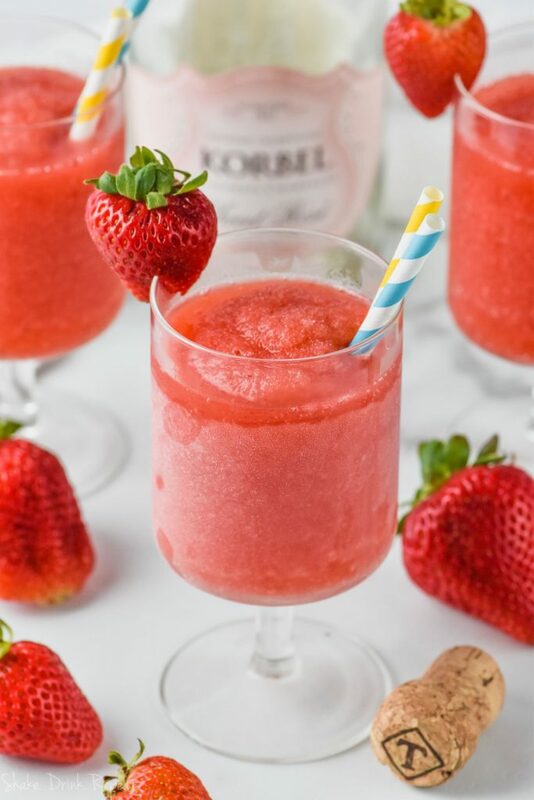 Combine a bottle of rose, a cup of citrus vodka, three cups frozen strawberries and half a cup of simple syrup in a blender. The ingredients will mix together beautifully. Next, pour into a freezer safe container. Store overnight (or at least a few hours) in the freezer. Remove from the freezer, and allow to thaw for about 20 minutes. Then either scoop out the delicious mixture into frosted glasses, or for a slushier drink, return the mixture to the blender for another quick pulse and then serve. On the lookout for more summer sips? 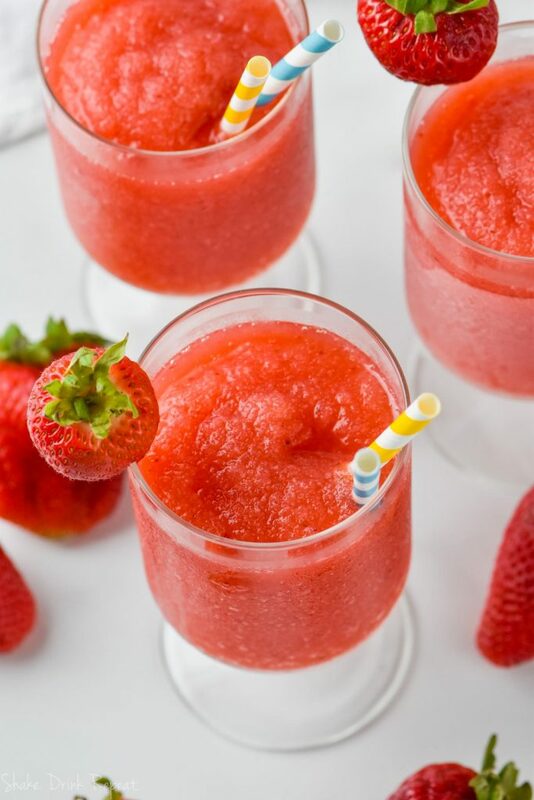 Try these Watermelon Peach Slushies or these tasty Strawberry Bellinis. 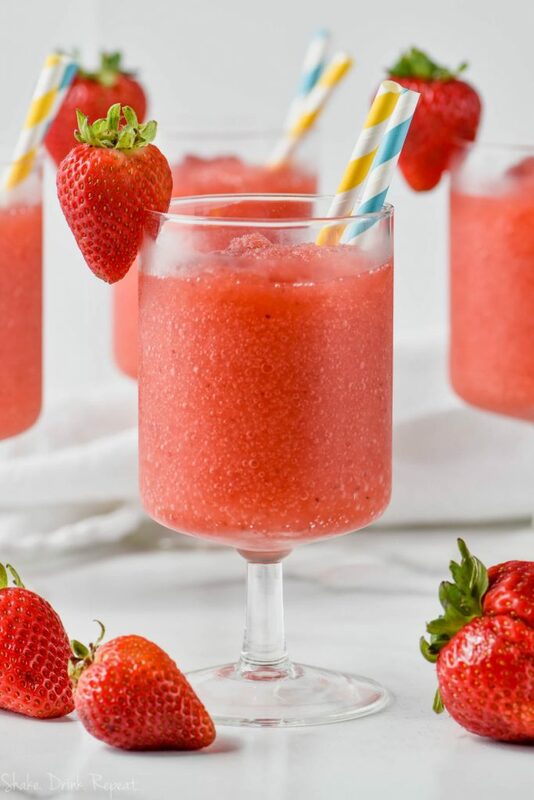 If you are a lover of Rose, you have to try this Strawberry Frose Recipe to make all your summer cocktail dreams come true! 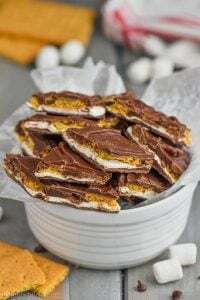 Only four ingredients and so easy to make! Combine all ingredients in a blender and blend to combine. Pour into a freezer safe container. Freeze overnight (or a few hours for just a slushy drink). Take out of the freezer. Allow to sit for 20 minutes. Either scoop into glasses or return to the blender and then pour into glasses.